It is without a doubt that businesses and marketers are starting to appreciate the power of the Internet; this is because of the recent technological advancements. It is now technically impossible to ignore the thrust of online marketing, and the various tools and strategies employed to generate traffic to websites. Among the strategies and tools that you can use are serpbook rank tracker and Search Engine Optimization (SEO). Today, it is virtually suicidal to develop marketing campaigns which do not contemplate the various social media platforms. To ignore social media is to limit your geographical and demographic sphere of influence. The Internet gives you limitless accessibility to your audience, as long as you have sufficient techniques and resources to capture their imagination. While recognizing internet as an increasingly important platform to reach your target audience is commendable, it is also equally important to engineer strategies. This will improve Google ranking and visibility, while at the same time will avoid you penalties. There are measures you can adopt to facilitate exponential rise to the top of a search engine results page (SERP). But how can this be achieved? You may ask. It is actually very simple; you only need to learn the simple dynamics of a rank tracker. Serpbook rank tracker enables you to connect multiple Google Analytic accounts, as per category, and to compare or contrast your traffic with your keyword data. It also allows users to track ranking for other platforms like Bing and Yahoo with unequalled efficiency and precision. The Serpbook rank tracker tool will help you to measure, evaluate and improve the keyword and website ranking results. By developing a superior SEO strategy, visibility in the search engine can be improved significantly. Creating tangible online presence for blogs and websites does require unfailing dedication, creativity and resources. With this in mind, it is thus very important to develop attractive and useful content. Colourful product descriptions, catchy pictorial compositions and videos are some of the creative techniques you can employ to enhance your content’s appeal. Rich and useful information creates universal appeal, which in turn draws heavy traffic to your website. 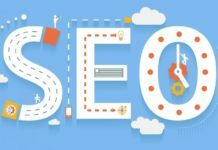 Search Engine Optimization (SEO) is also another strategy for effective internet marketing campaigns and e-commerce services. What does Search Engine Optimization (SEO) got to do with the serpbook rank tracker? As seen above, the tool essentially helps to improve, evaluate and measure the keywords and website ranking results. It thus helps the user to identify keywords that can make web pages rank well. This has the consequence of creating more visibility for the site and to effectively improve Google ranking and performance. This is a sure way to guarantee heavy web traffic. There are a myriad of ways to draw traffic to your website. However, it is up to you to determine the methods that best suit your needs. The constantly-changing nature of Google’s algorithm demands an innovative approach to maintaining traffic. They are over 10 different keyword rank trackers that are currently available online. They come in a riot of designs and complexity. While some are user-friendly, others are difficult to navigate. Serpbook is however extremely navigable. Its subscription rates are also competitive. It is capable of tracking all of the keyword rankings across all personal and niche sites, including local keyword tracking, Google maps, mobile and YouTube. Its ability to correlate ranking shifts with both off site and on site changes makes it very attractive. While rank trackers are key in growing traffic to the website, it is also equally important to develop quality content for your audience. Use of colourful product descriptions, images, Serpbook rank tracker and videos cannot be overemphasized. Other tactics to attract traffic like: Google Adwords, banner ads Google Shopping ads, Facebook ads, among others are great for eCommerce sites. 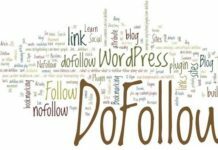 Success or failure in creating heavy online presence is dictated by the strategies used to drive traffic to the website. It is therefore very important to make the necessary plans to ensure the message is driven home. Serpbook rank tracker helps to make web content more visible and accessible. By developing suitable keywords, you are bound to catch the eye of the audience in a specific geographical area. Experienced online marketers and business people are always on the lookout for new methods to increase traffic to their websites.